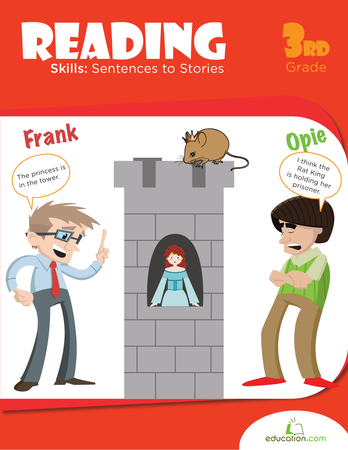 Students will be able to identify nouns, verbs, adjectives, and pronouns in a sentence. 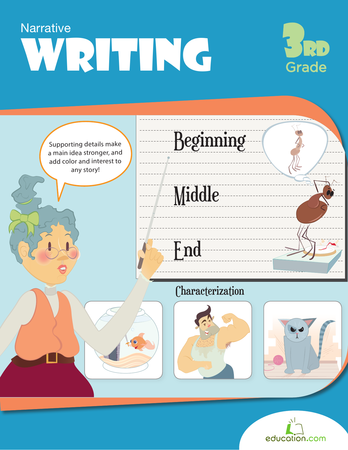 Students will be able to write sentences that consist of nouns, verbs, adjectives, and pronouns. 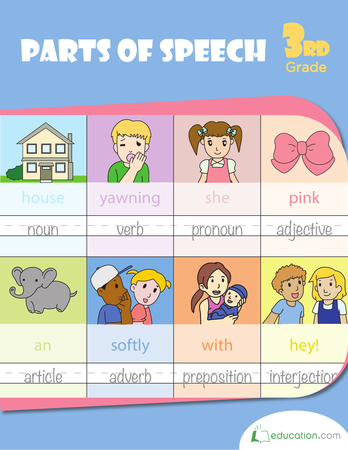 Ask your students the meaning of the following parts of speech: Noun, verb, adjective,And Pronoun. Explain to your students that a noun is a person, place, animal, or thing. 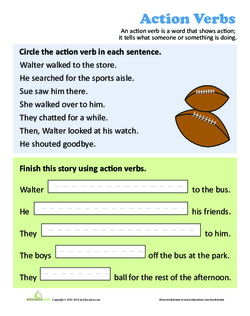 Tell your students that a verb is an action. 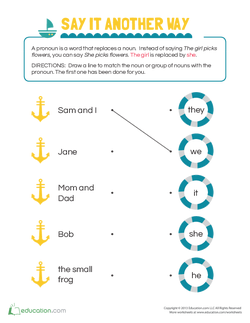 Remind them that a pronoun is a word that is used instead of a noun. Define an adjective as a word that describes a noun. Ask your students to come up with an example for each part of speech. Write down the examples that your students come up with on the board. Write a sentence on the board. Invite your students to come to the board to label the different parts of speech. 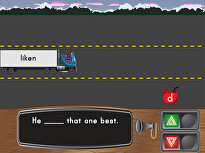 Ask your students to put an N if it's a noun, V if it's a verb, A if it's an adjective, and P if it's a pronoun. Repeat with many different sentences. For example: Sam was reading a story book to his younger sister, Sarah. Ella was playing with a beautiful, soft pony. We are going to play basketball after school. Sarah and Tom will throw a party for Ben. They are going to play tag during PE class. Write the beginning of 5 sentences on the board. Ask your students to complete the sentences in their reading notebooks using at least 3 parts of speech. Ask your students to label the parts of speech that they used in each sentence. Have your students share any sentences that they wrote, and ask them to identify the parts of speech that they used in their sentences. 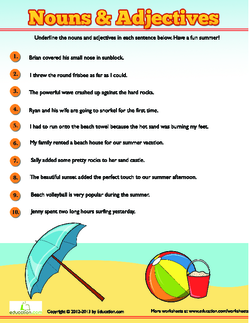 Ask your students to write 5 sentences that contain at least 3 parts of speech in each sentence. 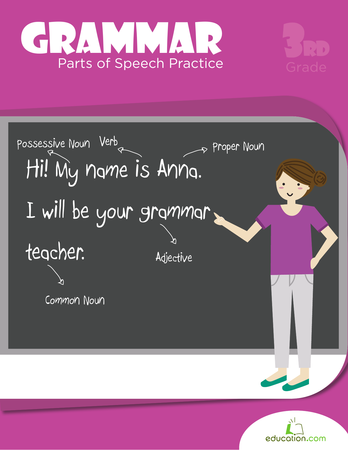 Instruct your students to use each part of speech in at least 2 sentences. Enrichment:Instruct your students to write a short story in their notebooks. Have them re-write the story, making at least ten additions. Direct your students to make at least one change for each part of speech. Ask your students to circle the changes they made and label the part of speech next to the change. Tell your students that the changes they make should be related to parts of speech that they've learned. Demonstrate an example on the board. For example: The horse was whiteCould change to The horse was white and soft. 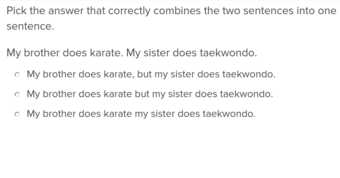 Support:Show your students examples of nouns, verbs, adjectives, and pronouns around the class. Instruct your students to complete the Action Verbs, Adjective Jumble Draw, and Say it Another Way worksheets for practise. Go over the worksheets with them. 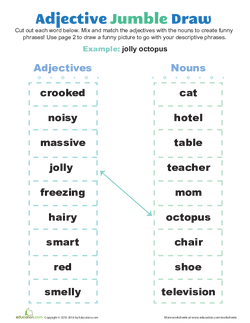 Ask your students to complete the Nouns and Adjectives worksheet. 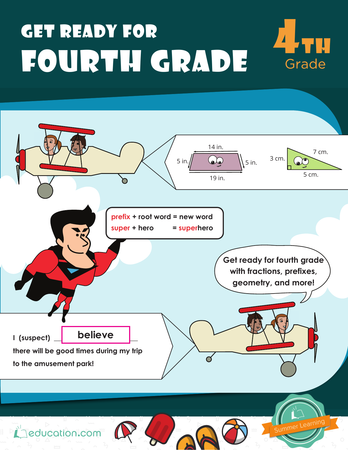 Ask your students to label the 4 parts of speech that they've learned in each sentence on the worksheet. Ask your students to get into groups of 5. Give each group member 5 index cards and assign each person a part of speech. Have your students write 10 examples for their parts of speech on the 5 index cards. Ask your students to write one word on the front and one word on the back of the card. Set the timer to 5 minutes. 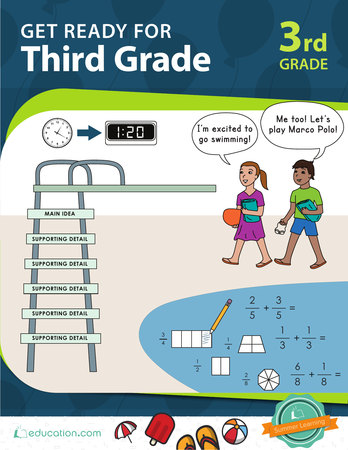 After the timer goes off, ask each group to create as many sentences as they can using the cards. Ask students to write down the sentences they created on a sheet of paper. After the timer goes off, have members from each group read the sentences they wrote out loud. 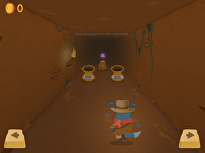 Your budding writer will practise parts of speech as he fills in missing parts of the story.